Eleanor- the new girl at school- comes from a dysfunctional (to say the least) family, and is bullied because she dresses weird, has wild red hair, and is a little overweight. Park- who has grown up in this same neighborhood his whole life- is half Korean/half Irish, comes from a good home, but is still a bit of an outcast because he loves alternative music and comic books. Park reluctantly lets Eleanor sit by him on the bus on her first day of school. From there, they begin to silently bond, as ark realizes that she is discreetly reading his comic books with him. That bond slowly grows in to first love throughout the school year. It’s difficult because of Eleanor’s home situation, but the make it work- until her home life erupts one fateful night. 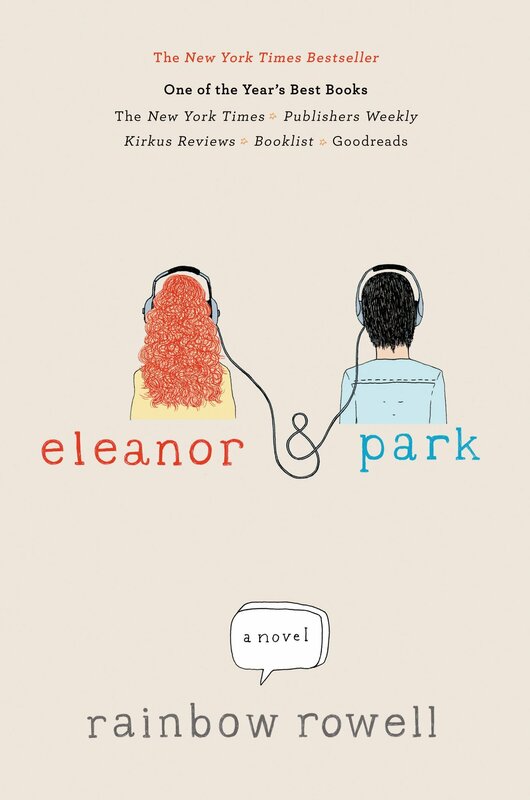 Eleanor & Park is a story that reminds you of how it feels to find your first love. It’s a little awkward, and you really have no idea what you’re doing, but it’s sweet. It’s also a story that reminds you of how mean kids can be, especially when they have no idea of what someone is really going through. Never fear, those mean kids have a little redemption in there, too! It’s a bit of a coming of age story of these kids, in the mid 80’s, when it was even harder to know what to do in a bad situation and of how they came together to figure things out. It’s sweet, funny, and a little heartbreaking all at once. It was a really good book, and I really enjoyed it.